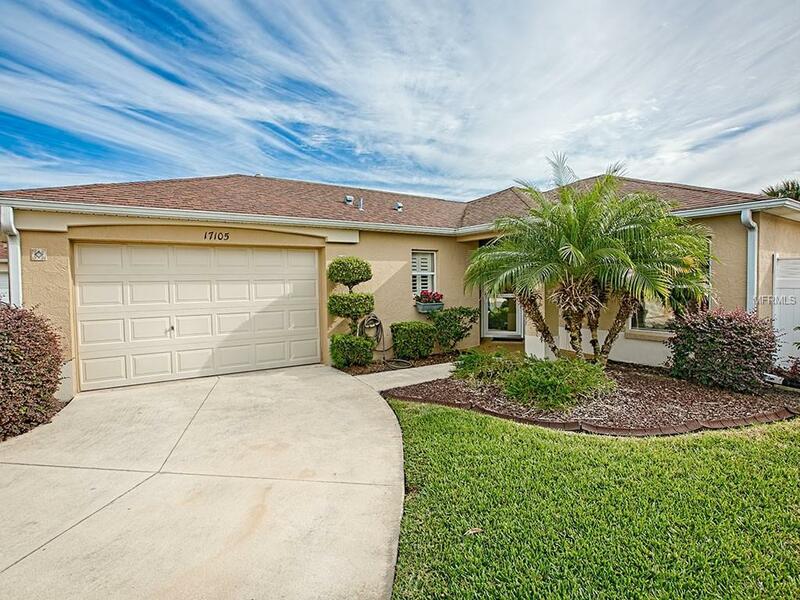 This 3/2 Stoneybrook Stucco Courtyard Villa has it ALL! 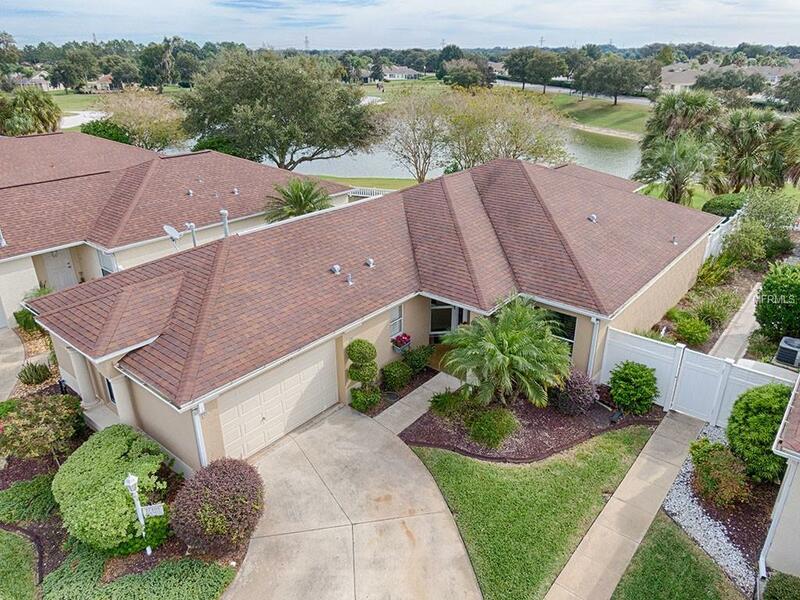 It sits on the Golf Course with a GORGEOUS WATER VIEW! NO BOND. HVAC NEW in 2018. Architectural ROOF NEW in 2008. NEW (in 2017) LAMINATE Flooring in Living/Dining Room & ALL 3 Bedrooms! FRESH Interior PAINT 2019. VOLUME CEILINGS. The Spacious Kitchen has GRANITE Countertops, Beautiful TILE Backsplash, APPLIANCES (except stove) NEW in 2017, Oak Cabinets w/Crown Molding, a PANTRY w/PULL-OUT Shelves and plenty of storage. The original LANAI is ENCLOSED. 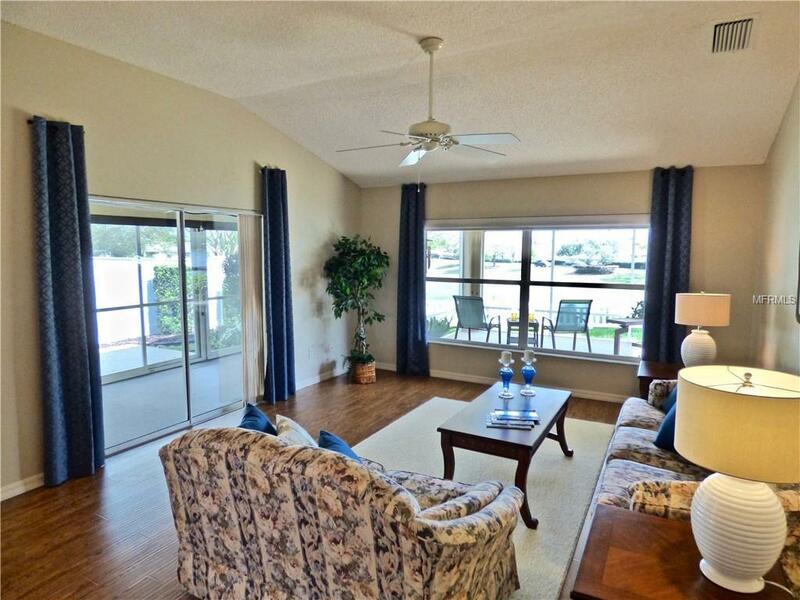 An ADDITIONAL LANAI w/River Rock Flooring has been added off the back to enjoy the FABULOUS WATER & GOLF Course VIEW. The Master Bedroom has a GORGEOUS VIEW, Volume Ceilings and an En-Suite Bath w/GRANITE and a Tiled Walk-In Shower. 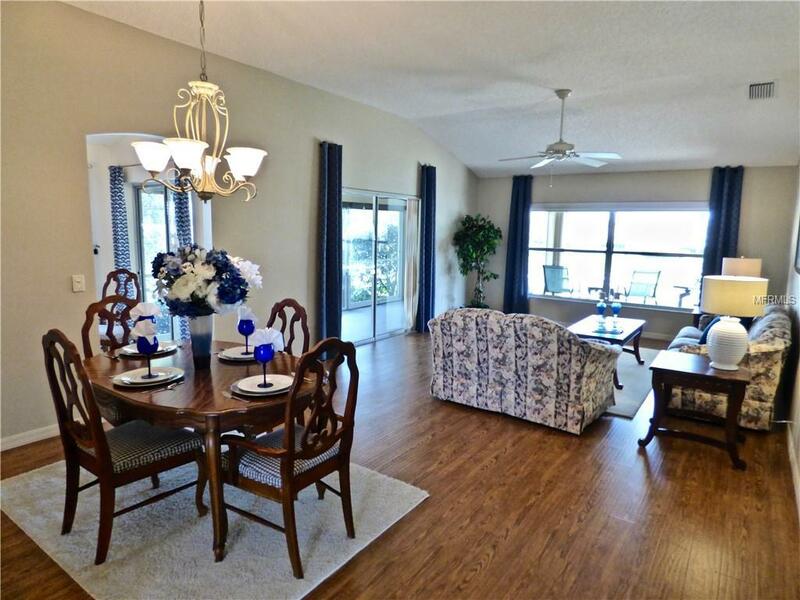 Both Guest Rooms have Closets & Laminate Flooring. The guest bath has a SOLID SURFACE Shower and Countertops. Lanai is wired for a hot tub. Exterior painted in 2017. Garage has Pull-Down Stairs for Attic Access. Includes easy-to-install Hurricane Panels. River Rock Patio w/Power Awning. Located in the Greenwood Villas. Great location: easy in and out of The Villages. Close to Nancy Lopez, several pools and Mulberry Grove Rec Center, Just a short walk to the Chatham Rec Center w/family pool. Shopping, Banking, Restaurants and the VA Center are close by. NO Bond!. Maintenance Assessment is $317/year. Note: Square footage information is taken from the Public Record and is deemed reliable, but not guaranteed. Room dimensions are approximate: buyer to verify.